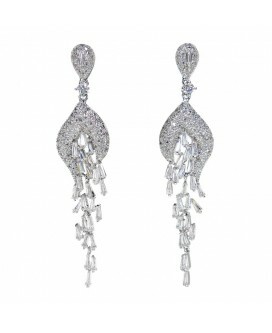 If you combine ancient European aesthetics with contemporary technology, trend and glamorous design this is the result! 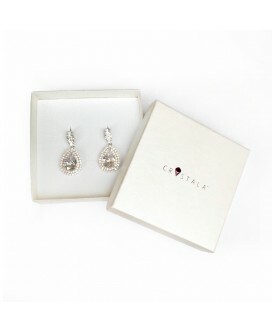 These earrings are pure luxury and feature a white gold plated setting decorated with an elaborate clustered stud and dangling masterpieces, which includes a large 3.5 carat Heart & Arrow ideal cut cubic zirconia as the centre stone. 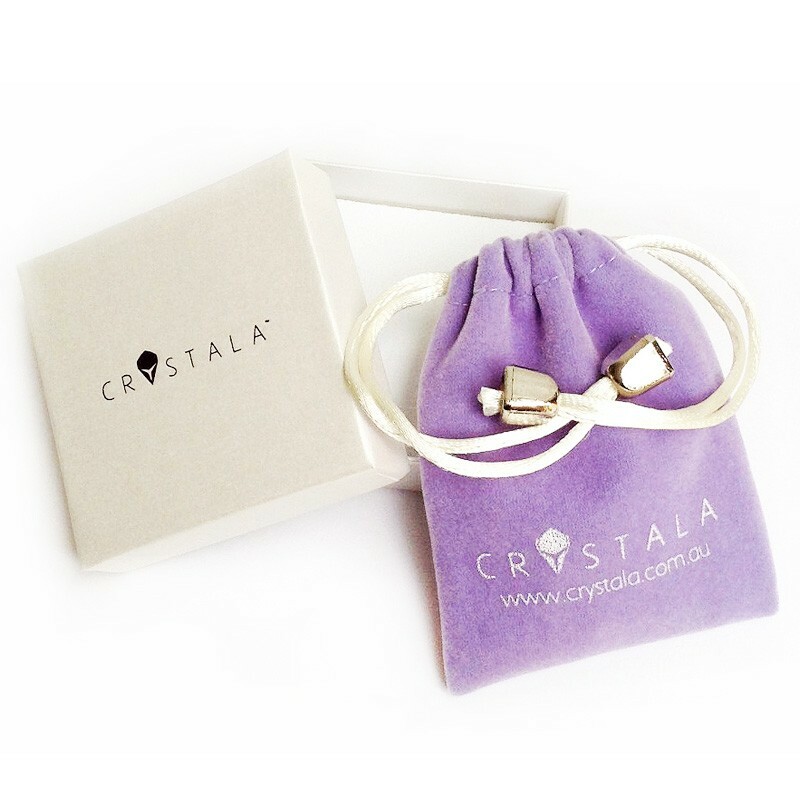 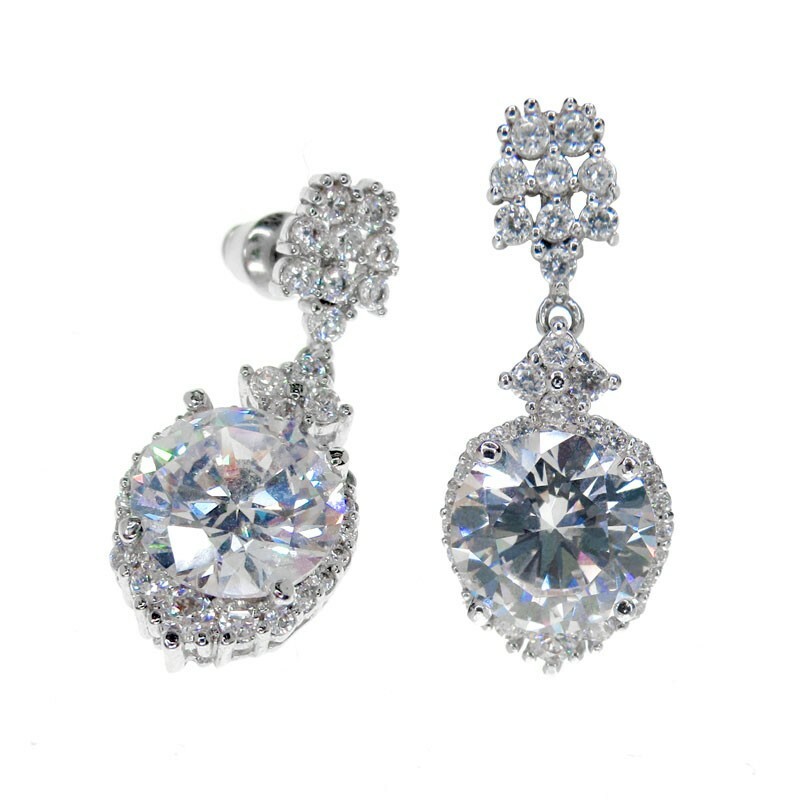 Featuring multiple AAA+ grade cubic zirconia stones with perfect cutting, pure colour, high clarity, and multifaceted with maximum brilliance and shine. 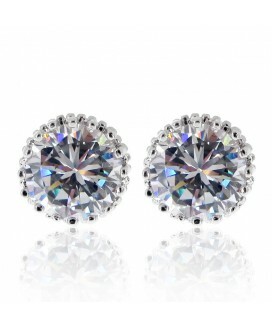 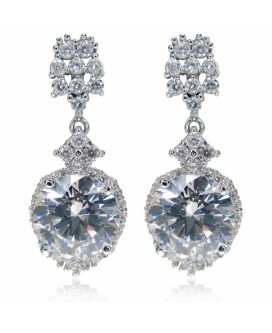 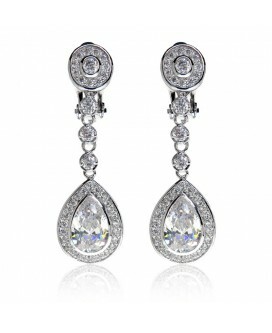 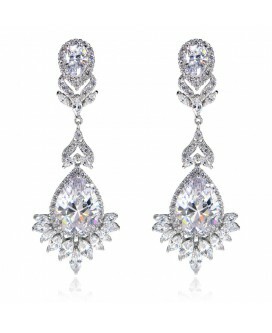 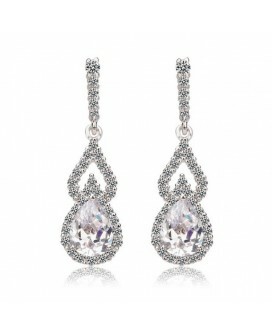 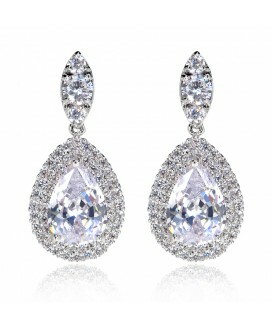 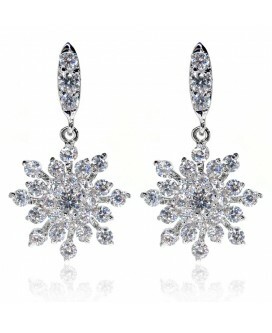 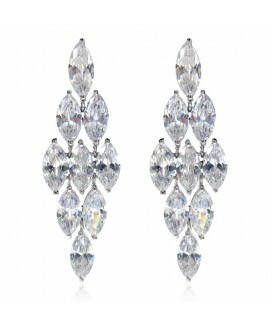 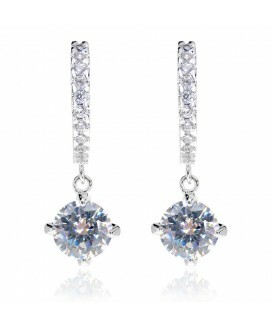 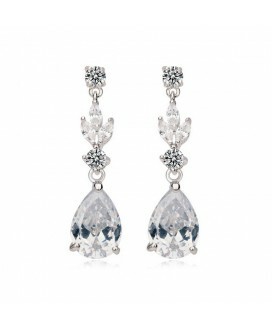 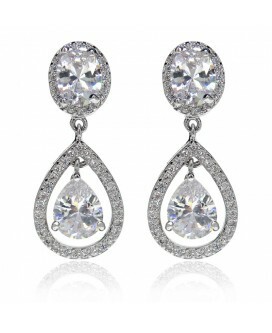 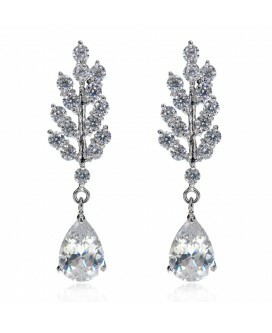 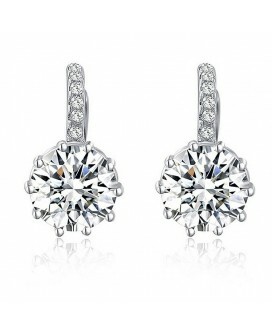 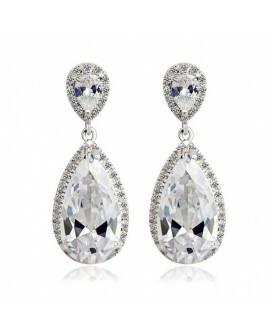 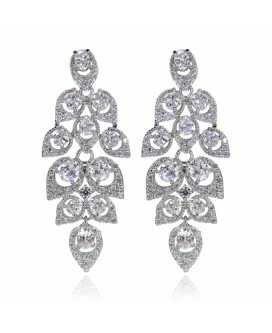 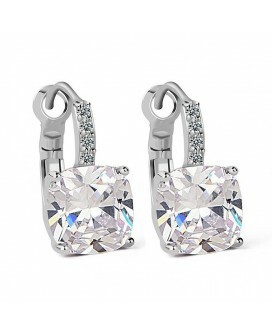 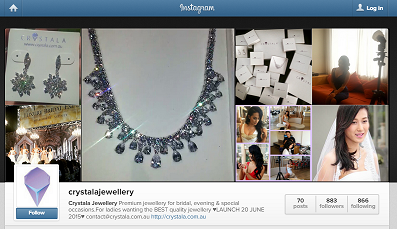 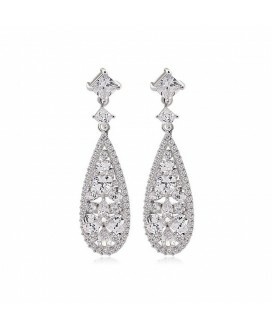 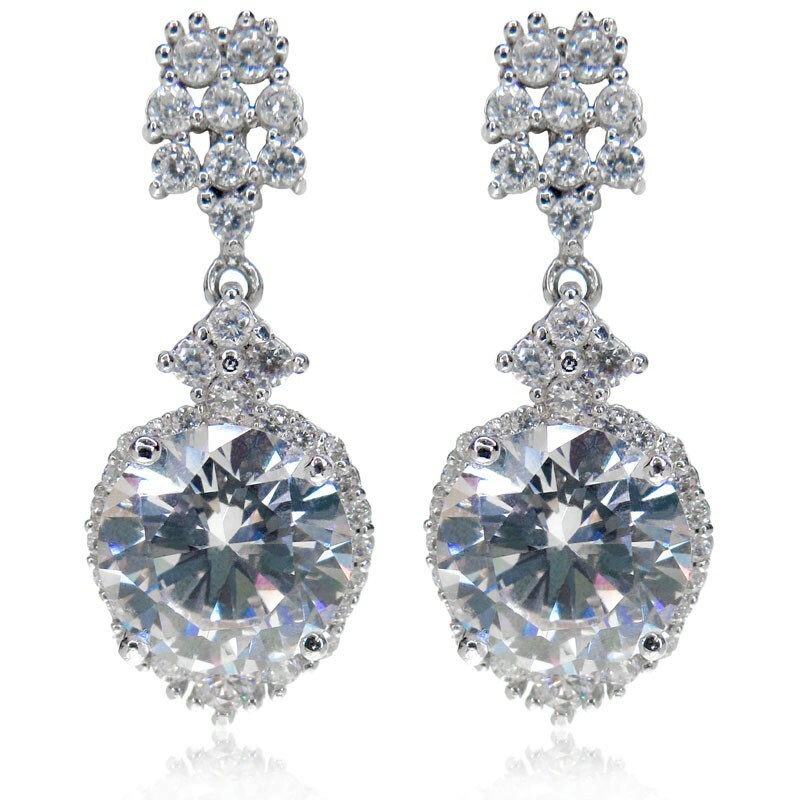 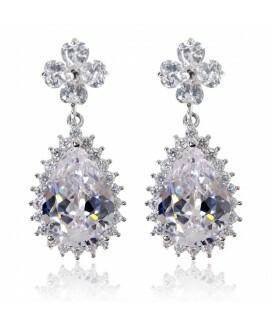 Surrounding it are sparkling smaller stones, which further adds to the shining radiance of these elegant earrings.